Vung Tau – Travels of Tay . . . This past weekend I embarked on my first trip outside of Can Tho. We rolled out of the city at 3 am with a solid crew of 7: two vietnamese friends, 4 PiA fellows, and myself. 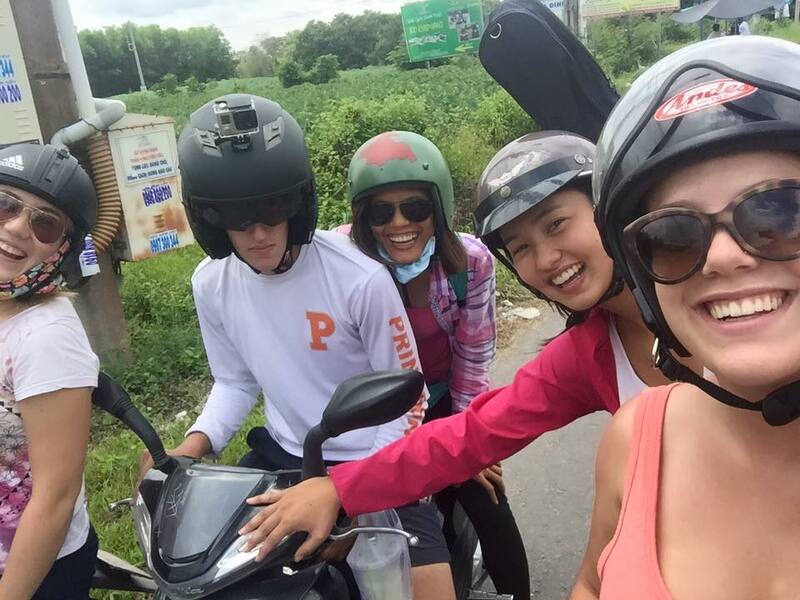 We thought it would be totally awesome to road trip on our motorbikes and we optimistically expected to arrive in Ho Chi Minh City at 7 am where we would pick up one more PiA fellow and drive two more hours to our final destination: Vung Tau. Sounds good? Nope. By the time we reached My Tho, more or less the halfway point between Can Tho and Ho Chi Minh city, we were pooped and had to stop to take a rest. Fortunately, along the highways in Vietnam one can find many coffee shops with hammocks designed for drivers to stop and take a nap. We did just that. By the time we made it to Ho Chi Ming it was 11 o’clock. Fortunately, the drive from the city to Vung Tau was much nicer; the roads were paved well and the driving was easy. Much to our bad fortune, we got caught in a huge monsoon only 10 km outside of Vung Tau. We stopped to wait out the rain but decided to press on after about half an hour. While the monsoon rains beat down on our faces, my friend, Fred, and I screamed “I HATE VIETNAM” amongst intermitted bouts of laughter. As much as that road trip is something I will never ever ever do again, it was also really really fun. Exhausted, hungry, and completely wet, we all promptly crashed in our hotel beds and fell asleep. Yaaaaay Vung Tau. The next day, our spirits were high and we headed to the beach (see picture)! I ate one of the best Banh Mi sandwiches of my life and ran into the refreshing (and I will admit, somewhat dirty) water. We spent the morning playing frisbee, foursquare, and volleyball on the beach and it made the drive completely worth it. We snuck into a fancy hotel’s pool for the rest of the day and drank margaritas poolside. Turns out, Vung Tau has a 118ft high statue of Jesus, which is widely considered one of the tallest Jesus statues in Asia. We hiked to the top of the mountain (the ONLY mountain I’ve seen in Vietnam thus far and the word “mountain” is an extremely generous term) to see Jesus and catch some good views of the city. We ended our time in Vung Tau with some much deserved pizza and a little bit of clubbing. 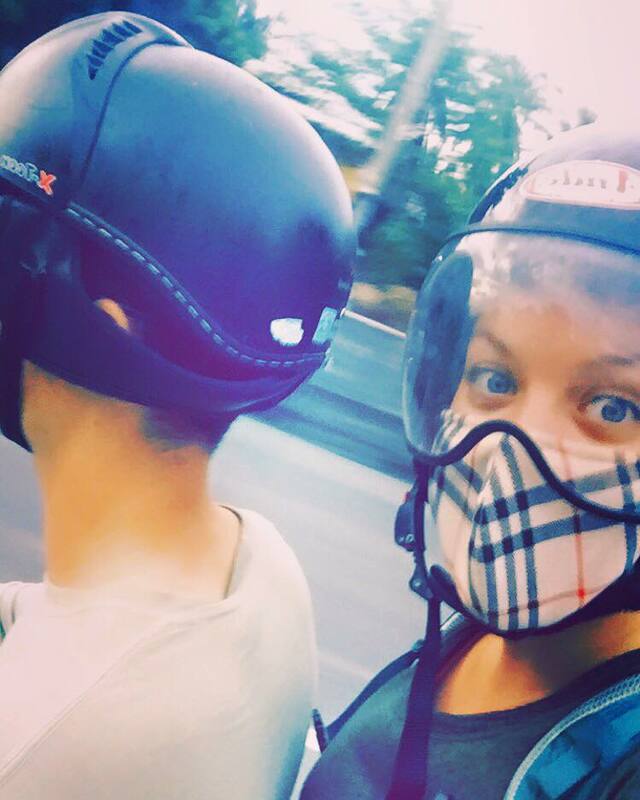 The trip was short and sweet but I was happy to be exploring more of Vietnam!